Local craft beer is doing extremely well. It’s even giving the big breweries a run for their money and enjoying a 17.6% upswing in sales. Some areas of the USA love their beer a little more than others, so it’s not an even spread across the country. For example, Vermont has 10.8 breweries for every 100,000 adults (over 21) living in the state. Meanwhile, Mississippi has just 0.4 breweries for every adult of legal drinking age. But it’s not just the number of breweries that matters. It’s the tastes of each region, and the beers developed to match those tastes, which makes local craft beer so compelling. Pour yourself a cold one and grab a bag of chips. Let us educate your palate about all the trends it needs to watch out for. The hip crowds of the west coast are well-clued up on local craft beer. Let’s check out what they’re up to this year. It’s not a new trend, but it’s not going anywhere soon either. First brewed for the market in India during colonial times, India pale ale (IPA) simply developed as an offshoot of the popular ‘pale ale’ style consumed widely in Britain at that time. They went out of vogue for a long time during the 1900s, before resurfacing in the early 2000s as hundreds of small brewers turned their hand to the style. Now, there are so many to choose from we don’t know where to start. IPAs tend to be rather strong – 6% or more. Though as you head south lower ABVs are becoming more popular. El Segundo’s Citra Pale Ale hits a refreshing note at 5.5%, for example, which is the same ABV as Green Flash’s Passion Fruit Kicker. More on the fruit in a moment. People are drinking less alcohol as time goes on, so lower ABVs could well be the way forward in the future. 2. Is Fruit Beer For You? Keep an eye out for fruit beer too. It’s too often derided as childish. This may be down to the fact it was too often brewed in the ’90s as a disgusting halfway house, somewhere between soda and beer. Hear us out. You need to open your heart and give it another chance. Modern brews like Hangar 24’s apricot-flavored Polycot beer and Almanac’s Dogpatch Sours – made with cherries – promise bountiful flavor that isn’t overpowering or overly sweet. Angel City Brewery, meanwhile, has fulfilled the millennial stereotype to the best of its ability by creating – yes – an avocado beer. It’s called Avocado Ale. For the even more adventurous beer-lover, step away from fruit into the world of vegetables. Placentia’s The Bruery have created a yam-flavored brew called Autumn Maple. It’s a heavy hitter at 10.0% ABV, but worth checking out for its big, bold savory flavor. The West Coast gets a lot of credit for the popularity of craft beer. But we’d be fools to just skim over the East Coast’s efforts at creating local craft beer. There are some real belters out there. Or, the New England India pale ale, in full. Fairly confusing, and perhaps we’ll come up with a better name for this style of beer in time. But it’s big news in 2018. Many brewers are hesitant to recognize it as a style of beer in its own right and see it as more of a modification of the classic IPA taste. Fans can’t get enough of the stuff, and as a recent development, you should expect to see far more of it soon. The west coast is focused on fruit flavors, but the east seems to have a savory palate. Coffee porters have become fairly popular in recent years, along with milk stouts and more. In South Florida, Funky Buddha is doing pretty much everything it can to come up with new tastes. Funky Buddha wasn’t satisfied with a coffee porter, so it went one better, creating a maple bacon coffee porter, which is only brewed once a year. So it’s in very limited supply. The beer won the Gold Medal of the World Beer Cup in 2016, for being the best specialty beer on the judges’ taste test list. Funky Buddha isn’t content with just that one. Its beer roster in the past has included brews incorporating the flavors of sweet German chocolate cake, a gose-style beer with the tang of mango and passion fruit juices, and a blackcurrant Tripel weighing in at 9.3% ABV. Oyster City Brewing Company (out of Apalachicola) are returning to the dark ages (in a good way) with an old-school honey-based beer. We say old-school, as honey was used to sweeten mead way back in ancient times. Expect to see way more experimentation in the year to come, and be sure to try out interesting flavors from the tap. Local craft beer flavors sometimes sound odd but remember that people wouldn’t brew a huge batch of the stuff just for kicks. It tastes great too. The popularity of different beers depends a lot on the weather. Heavier stouts often find a lot of fans in colder places, for example. 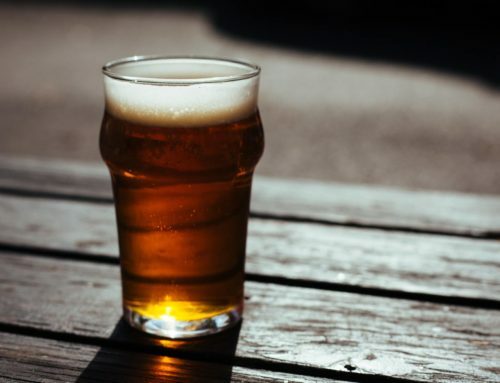 What’s local craft beer is coming out of our colder states? It’s perhaps telling that the Montana Brewers Association was founded in 2008. 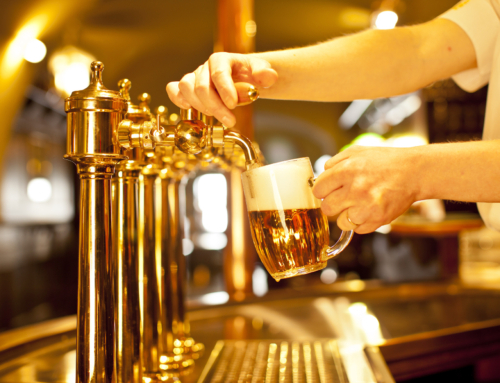 Craft beer was on the rise, and the number of brewers was skyrocketing. The MBA’s trail map is a treasure chart for any beer fan up north. Local craft beer is definitely not a coastal thing, although a lot can be said about both the East and West Coast’s scenes. But in colder climes, different styles crop up. You can still get a decent IPA, but winter and wheat ales are also very popular. Big Sky Brewing Company’s Powder Hound is a prime example as to what a winter ale should be – big, bold, and brewed especially to help you cope with the winter blues. Just imagine a roaring fire, a few cans of this, and a group of friends. Over in North Dakota, the Laughing Sun Brewing company likes a good stout. Its Shallow Mud Rye Stout is an English-style stout, full of traditional flavor – again, perfect for snowy weather. On the whole, in these colder states, expect roast flavors, chocolate and caramel malts, and drinks that feel heavier on the whole. The winds from the Great Lakes can be pretty bitter, even in spring and fall. To combat that, local craft beer brewers specialize in brews to warm you right up without fail. The Wisconsin Brewery Company makes a lovely amber beer, and we expect to see this traditional British favorite creep across the pond more and more as the taste catches on. It’s a very different ale that’ll catch fans of IPA by surprise, as they won’t get over how much they like it! It has a lovely smooth mouthfeel and a well-rounded taste. WBC also pride themselves on a core range of IPAs too though, so that’s your backup plan sorted if you’re that rare person that doesn’t dig amber. And it does a nice chocolate porter to boot. Meanwhile, Michigan also boasts a number of great breweries and great beers. There are some real artisan attempts among the local craft beer enthusiasts, with plenty of flavor experimentation. There’s pumpkin ale, traditional English ales (see a pattern? We’re telling you, these will be big soon), dark bitters and more. They’re all, once again, tuned to offer some welcome relief and comfort after a day of being battered by the cold. While cold states enjoy their heavy, rich, styles, lighter beers like Pilsners and other lagers are hugely popular in warmer places. You might think there’s not much innovation to be had in that area, but we’re here to politely put you right. Yes, craft Pilsner is a thing. You don’t have to choose an ABInBevproduct to get your lager fix. If you’re in Texas, you can’t go far wrong with one of the many local brews which are stamping their mark on the state. We like Live Oak Pilz, and Community’s stab at a Helles, which is pretty darn good stuff. OK, helles isn’t quite a Pilsner, but it’s close. In German, the word is used to describe something pale or light. So a helles is a pale lager, but it’s quite soft and malty, which contrasts sharply which the sharp, crisp taste of a traditional Pilsner. You should expect to see more helles around this year in other warmer states, as the word spreads and techniques are shared. Wheat beers are a firm favorite in warmer weather. They’re real thirst-quenchers and are best served extremely cold. The citrus notes make them even more refreshing, and it’s not unheard of to couple it with a slice of lemon too. If you’ve never tried a wheat beer before and it comes in a bottle, be warned that most wheat beers are bottle-conditioned. This means they’ll have sediment in them, which has probably settled in the bottom. Pour half, stop, swirl, and pour the rest. This gets all the sediment out into the glass, for one of the most delicious summer drinks ever. We think this one is being written on brewer’s blackboards as we speak, given the above-normal temperatures expected through June, July, and August. It’s not just the USA enjoying the local craft beer revival. Don’t turn your nose up at imported beers. Other countries like the UK and Australia have a lot of cool things to share with us. The UK is great at producing ales and stouts. As we’ve hinted already, we reckon more of their traditional ‘session’ ales will start to appear over here this year. They’ll go down a treat, particularly in the colder states. They’re called ‘session’ ales because you can drink quite a lot of them over a longer drinking session. That’s not binge drinking though. They tend to be between 3% and 4%, with some rising a little higher than that. Keep an eye out for exported UK double-chocolate stouts, which will be one of the richest beers you’ve ever tried. Take a cheeky snow day to enjoy one. Australia might be best known for mass-produced lagers like Foster’s, but we promise that is not all it has to offer. Pale ale is consumed by 92% of local craft beer fans across Australia, which probably isn’t so different from USA stats. One championed brewery is the Pirate Life Brewery, located in Adelaide. If you ever see its IIPA (Imperial India Pale Ale) in a store, fish for cash and grab one. It’s heavy, strong, and kicks the back of your throat with hops. But boy is it good stuff. Once you’ve invested in a good case or keg of local craft beer, you need to keep it in good condition. There’s nothing worse than good beer going to waste. Nothing. As beer lovers, we needed a better way to keep brews fresh, because pouring them down the drain leaves us close to tears. 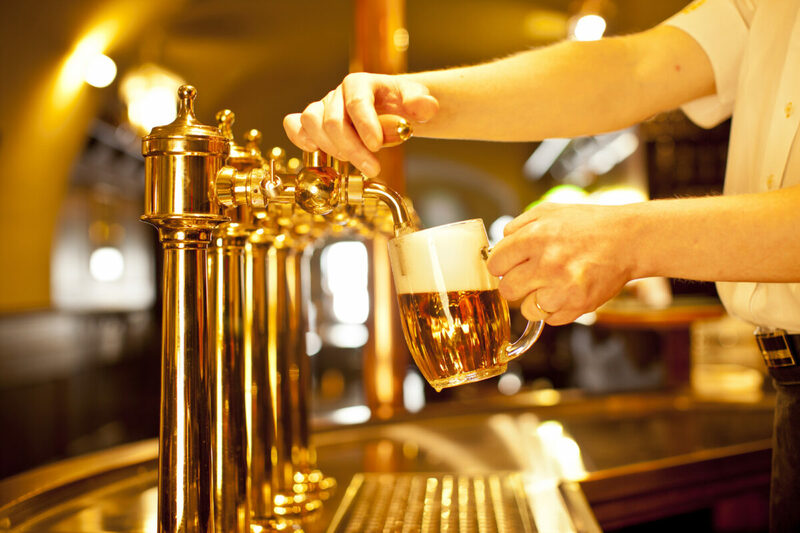 That’s why QuikTap was developed – to serve portable draft beer without spoiling the taste, and without the fuss. A better taste, and less waste – chat with us about our system or read our blog to learn more about how it works. Or, for the beer buff who needs to be quick about it, just go shopping. We hope you enjoy the next local craft beer you try! Remember to share the love by recommending the best brews to your friends… and us.